The sun’s brilliant yellow rays must have been shining, spilling, no…pouring down onto the earth on the day God created butterflies. Even their name, invokes happiness. Heck, it includes butter! — one of nature’s delights! Ohhh, come on now. No h.a.t.i.n.g. on butter. God and the natural world didn’t intend us to eat it by the stick, or bake it into cakes by the pound, or pour it over a bucket of popcorn every Saturday night. But in the pat-sized form (do you remember a pat of butter?) — it was juuuust the right sized delight to brighten a dry piece of toast. Ahhh – it’s so pretty, isn’t it? Hey Diane — if you are so in love with butter, and toast, and well – basically anything else you cn spread butter on — why are you planning a juice cleanse in 2 days? Well, the way I figure it — I’ve lost my appreciation for food. Yea, it’s true. I’ve lost that amazing wonder that happens in your taste buds when that first drip of butter hits them. The one that makes you tingle, and appreciate the deep, rich flavor right down to your toes. I’ve lost it. It’s gone. I’ve become intoxicated by eating. Not by food….just by the eating. I’m practiced in the art of shoveling food into my mouth at a velocity that maximizes the volume per minute. Per hour. Per day. Per week. When I think back on the past 3 weeks, I have been in a slow and steady weight-gain. All weekend long, I found myself trying my best to remember WHAT I had eaten that contributed to my weight gain. What was it? Was it great? Delicious? Turns out…No, it wasn’t. Frankly….the food wasn’t even memorable. Because I can’t even remember what I ate. Well, minus the donuts. I remember them! And the guilt they brought with them, ugh! Nothing wrong with a donut. But when you eat 4 of them — well, it stops being about the donuts. Ya get me? Anyway — I want to hit the re-start button. On food. On eating. On my attitude about food. 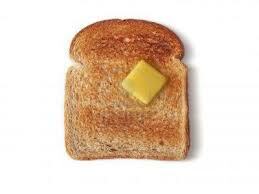 I want to go back to the time and place, were I delight in the wonder of the taste of butter on toast. Where my taste buds are fresh and new and unencumbered by the toxins called sugar and salt. So, I let the idea of a juice cleanse roll around in my head for a while. Maybe a week. Then — I said it out loud and told Peter I wanted to do it. When he didn’t laugh at me — well — WELL — that’s when the idea became real. Huh, I was really going to do this! Exciting! and Scary! All the the same time. I found the company I wanted — I found the web site. I read the reviews. I read about the preparation. I accepted that it would be hard. BUT — I also accepted that I needed this. I needed a new beginning. And it would be worth the committment of our money, my time, and one of my 47 Valentine’s Days. There would be more. I felt certain that chocolate would still exist when I was done. the world would not change THAT much in 5 days. So now I have the idea….LOL….and the gumption! Now — I need the blueprint! Ahhhh – Yes – that’s Exactly what I need!